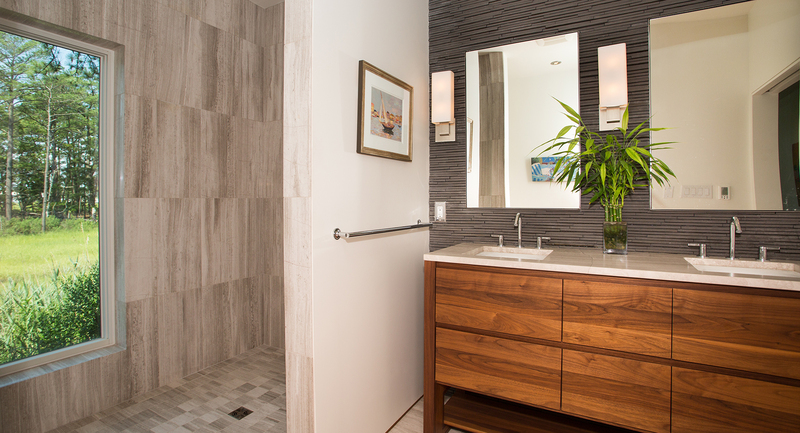 The Zen aesthetic of this home is carried through the bathroom with contemporary Asian influence. 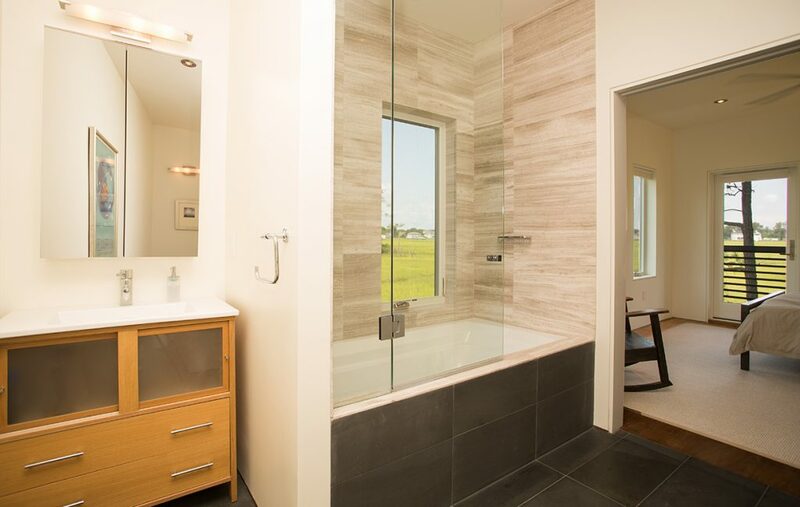 Intentional design with large windows and purposeful mirrors creates abundant natural light and brings the beauty of the native marshlands inside. Dark limestone and light marble organically provide visual contrast that is both tranquil and inviting.